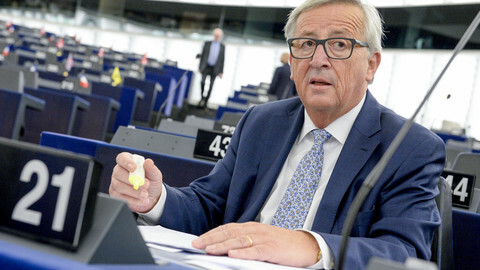 The European Commission unveiled on Wednesday (6 December) a plan that would give it more power over the eurozone, while strengthening the links with non-euro member states. 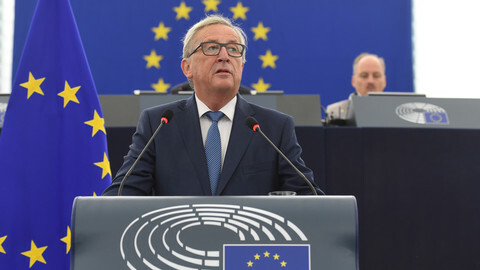 As expected, the EU executive proposed to transform the European Stability Mechanism (ESM), the eurozone's emergency fund, into a European Monetary Fund by mid-2019. The fund would still be responsible for the financial support of countries in need, with a lending capacity of €500 billion. But it would have a greater role in designing the bailout plans. It would also provide the backstop to the single resolution fund, an additional mechanism to the existing fund for failing banks. The commission also proposed to create, as early as 2019, a European finance minister to manage the fiscal and macroeconomic surveillance of member states and the use of EU budget tools. This "strong management toolbox," commission vice president Valdis Dombrovskis said, will help weather economic shocks. The commission's proposals, he said, are "another step in the ongoing process of [a] more stable EMU" (Economic and Monetary Union). For that purpose the EU executive will step up its services to help member states making structural and administrative reforms. Until 2020, the end of the current EU multi-annual budget, it will double the budget for the Structural Reform Support Programme, to €300 million. After 2020 - under the future budget that will start being negotiated next spring - the commission proposes creating a "new reform delivery tool" to help reforms "that can contribute most to the resilience of domestic economies and have positive spill-over effects on other member states," such as on market or tax reforms. 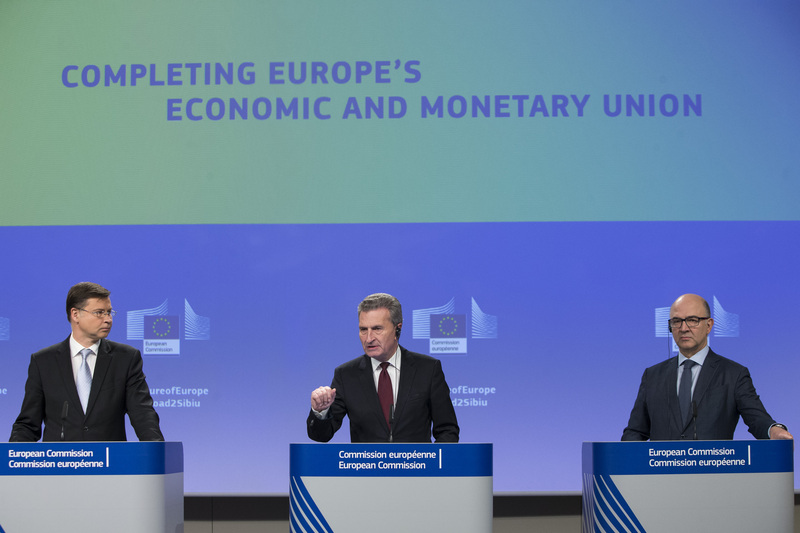 The commission also plans, after 2020, the establishment of a so-called stabilisation function to protect EU economies from asymmetric shocks. One of the main priorities would be to protect investment capacities. 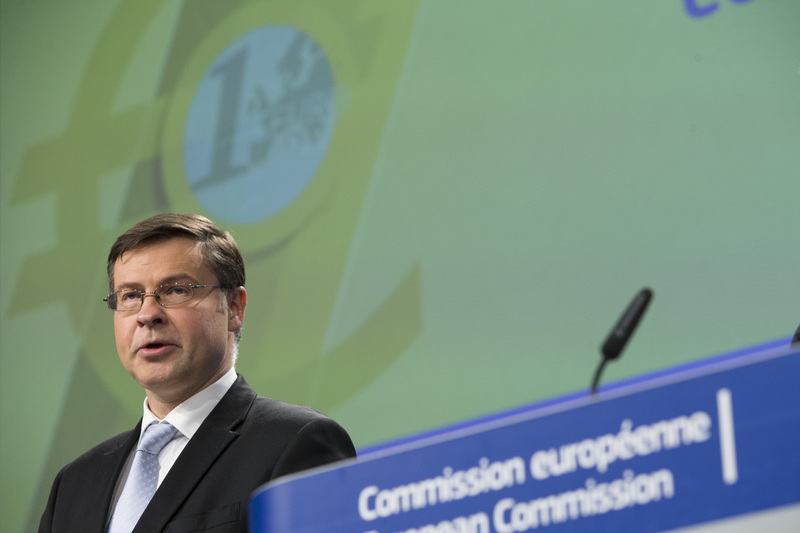 "It makes macro-economic sense because investment is often the first item cut" in case of crisis, Dombrovskis pointed out. The commissioner insisted that the funds available would be submitted to strict conditions and would not represent "new permanent transfer" from some countries to others. 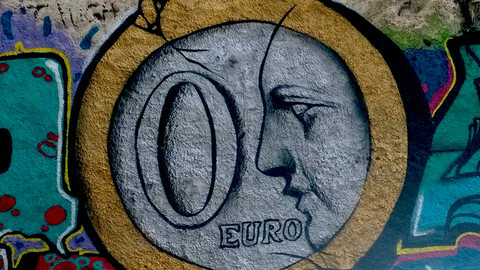 Faced with criticism, especially in Germany, that it was about to loosen the eurozone's fiscal rules, the commission proposed to put into EU law the 2012 fiscal compact - a intergovernmental treaty that introduced more discipline in national budget plans. "Member states will be obliged by community law," finance commissioner Pierre Moscovici said. "Budget policies that are forbidden today will remain forbidden, and the authorised policies will remain authorised," he added, trying to reassure those who said that the commission is trying to impose further austerity. 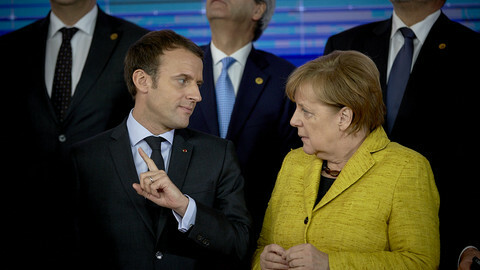 The commission ruled out a eurozone budget as proposed by French president Emmanuel Macron, and insisted that euro membership should remain open to the eight member states that are not using the single currency. "We want to act in favour of all 27 member states," budget commissioner Guenther Oettinger said, noting that after Brexit, the non-eurozone countries will represent only 15 percent of the EU's GDP and should not be excluded. The plan presented by the commission will trigger a new debate over its powers over member states. The EU executive will continue to be responsible, "alongside" the future European Monetary Fund, of the management of bailout programmes, while the member states will have less oversight than in the current ESM. 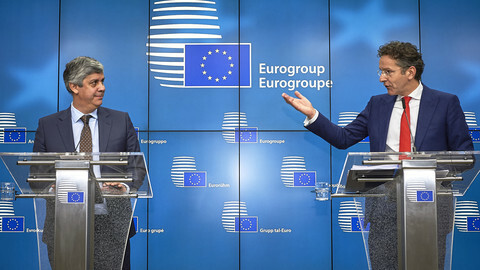 It also wants the future finance minister to wear a "double-hat" - that is, as commission vice-president and president of the Eurogroup, the informal meeting of eurozone finance ministers where member states have the upper hand. 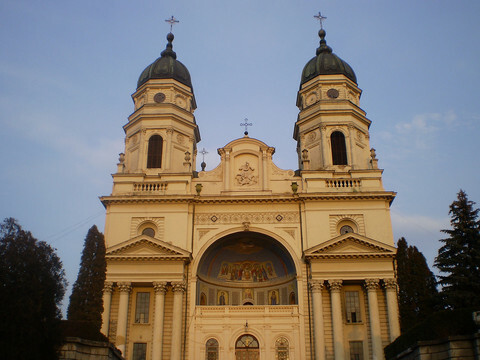 The stabilisation fund that would be created after 2020 would be "managed by the commission". The changes, the commission said, will make the governance of the eurozone "more transparent and more democratic," because the European Parliament will have more oversight, especially if the Eurogroup president is also a commissioner. The proposal will be discussed by EU leaders at a summit on 15 December that will include the 19 eurozone countries as well as the eight member states that are not part of it. With Germany still without a new government, they are expected to agree only on a calendar to discuss further. Real decisions are expected to be taken at a summit in June next year. The paper is "clearly not the end of the story," a diplomat said recently, summarising member states' reluctance to engage with a new institutional architecture where they would have less power. EU executive to lay the ground on Wednesday for a European monetary fund and EU finance minister in wake of Brexit. EU Commission chief's speech will bring "surprises". 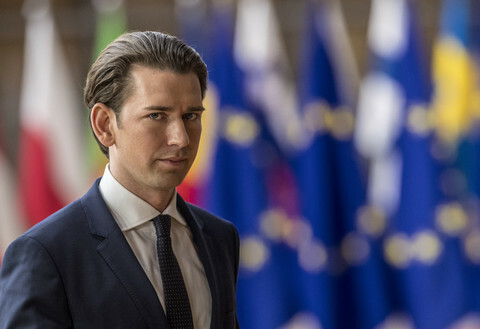 One of them could be major changes to the EU's institutional balance. Brexit will dramatically change the balance between EU members states that have the euro and those that don't. The thinking on the future of the eurozone is done at EU-27 level - but opposing camps will have to be reconciled. 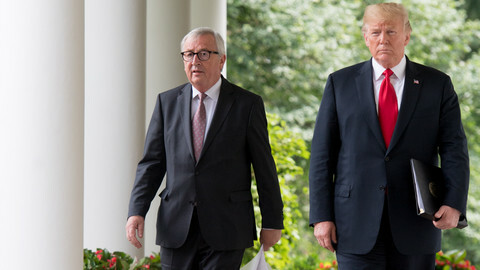 In a discussion about how to deepen the economic and monetary union, the German chancellor and the European Central Bank chief stressed the need for convergence between countries.